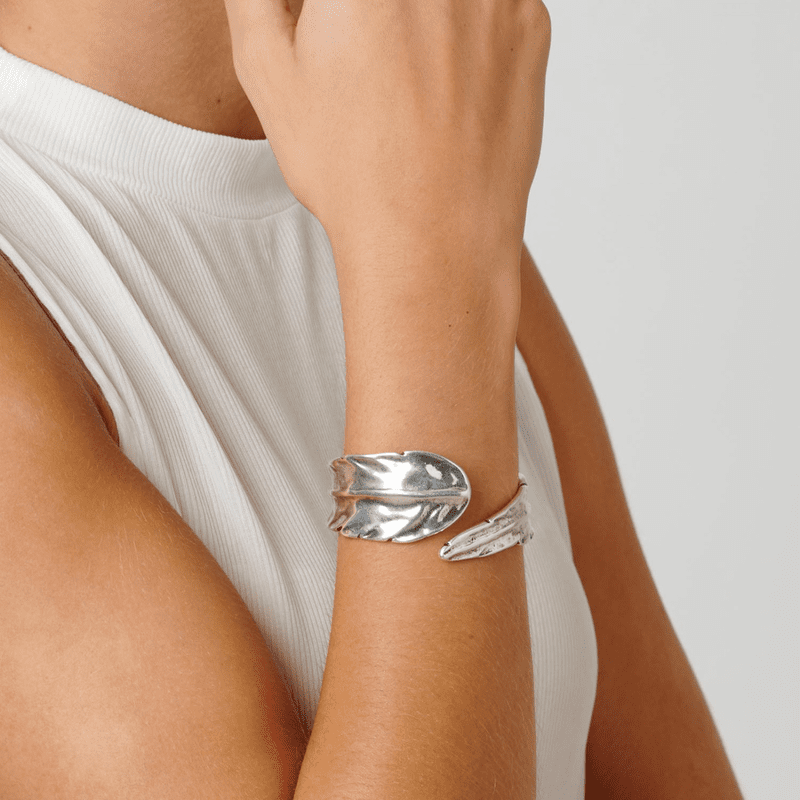 Semi rigid and opened silver plated bracelet with feather shaped, characteristic of this romantic collection. 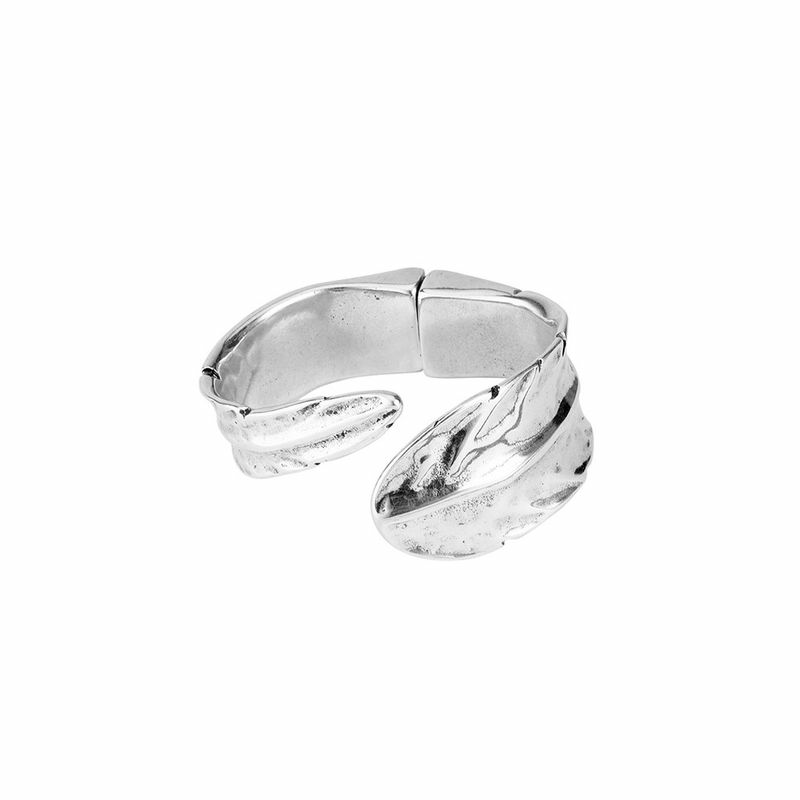 A simple piece which can be the center of all of your looks. 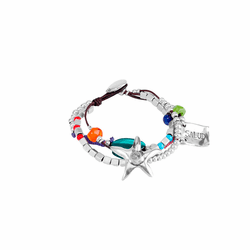 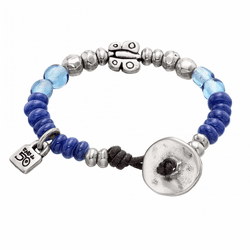 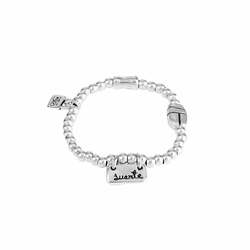 And original and innovated design by UNOde50, made in spain and 100% handmade.